Kitchen décor is dictated by the style and look of cabinets. Buying kitchen cabinets therefore is a decision that you need to seriously think through in terms of its durability, material, look and of course your budget. It also requires thorough comparison of the available products and their price range. You can then make an informed decision on one that suits your style and budget. Stock, semi-customized or fully customized cabinets. Cabinet accessories like dividers, handles, knobs etc. Styles and colors of the cabinets. Where to buy the kitchen cabinets from? 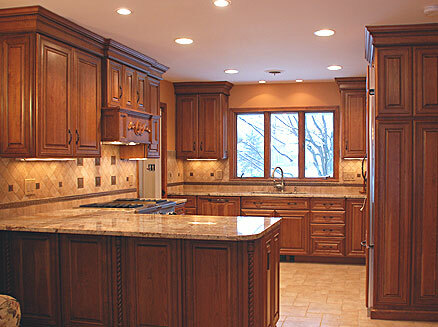 Once you finalize your requirements, you need to know where to buy kitchen cabinets from. Either you can buy them from kitchen appliance stores, showrooms, kitchen cabinet dealers or purchase them online from a well-known kitchen appliance retailer. The advantage of buying it from a store is that you can check the measurements, look, feel and style of the cabinets. While this may not be possible online, you may get to browse through a wide variety of sites offering competitive products. Apart from that you may also get some interesting discounts or deals. Buying kitchen cabinets online is an easy and comfortable process as you can browse through various sites and options sitting in the comfort of your home. Select the cabinet dimensions according to your kitchen space measurements. Select the styles and colors available. Once you have selected all the features of the cabinets, you can proceed for payment and shipping address details. Payment can be done with either credit card or cash. Payment terms can vary from one seller to another. Once the cabinets are shipped, you need to check for the complete order, manufacturing damage if any and overall product quality. In case of damage, they can be returned and re-shipped. The disadvantage is that unlike a store you cannot check the cabinets in actual and there are shipping and restocking fees to pay if the product is returned due to damage. And if they are custom built, they may not be returnable – which can be an extra cost to you. Another option is to buy used kitchen cabinets which are easily available online. You can browse through a variety of sites like eBay where cabinets may be on sale. It is a great option as you may bag a great deal as compared to the ones available in kitchen appliance stores or showrooms. You may also come across local classified advertisements and may find a great deal. The local kitchen hardware shops can also be contacted for any second hand cabinets that they come across; as such dealers often come across people who wish to dismantle their old kitchen cabinets and replace them with new ones. There may be some minor defects with such cabinets but they can be easily fixed and is a great trade off if you have a tight budget. Unfinished kitchen cabinets are also a good option to consider in case you want to save some money and do the finishing yourself. With unfinished kitchen cabinets you can select from a wide variety of colors, materials, glass doors, cabinet accessories like knobs and handles etc. For reference you can check various cabinet styles online or check the home décor magazines. Whether you opt for purchasing from local kitchen hardware store or online, it is important that the dimensions are accurate and the cost fits your budget. For online orders, do check on their payment options and also go through their shipping terms and conditions. If you are buying used cabinets, do check a few local hardware shops. However, cabinet installation is a difficult task and cannot be changed easily. So consider your options wisely before making the final decision. I got a custom cabinet made by a local carpenter and had him follow a design I like. I saved about half the price! We are also looking for a custom-made kitchen and I must admit that your tips save me a lot of time. Thank you!